This looks utterly impossible!! You'll love performing it! Two coins, a Morgan silver dollar (superb replica) and a brass Chinese coin, are placed in the spectator's hand. The spectator covers the coins with their other hand. A coin is removed and placed on the back of the spectator's hand. 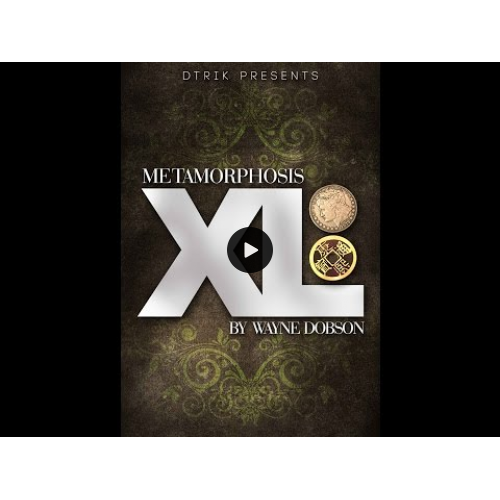 Two questions are asked by the magician and in the blink of an eye, the coins change places! 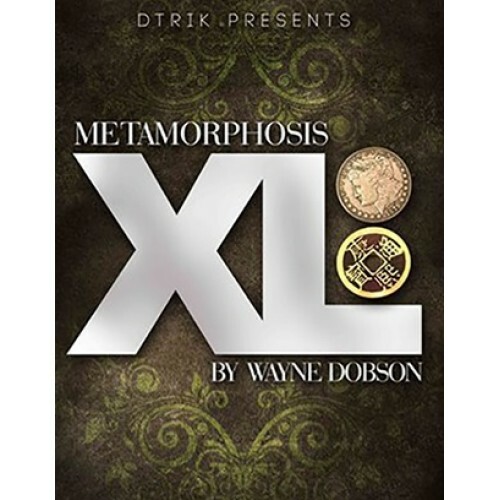 This is Metamorphosis XL by Wayne Dobson Close-up magic at its best!